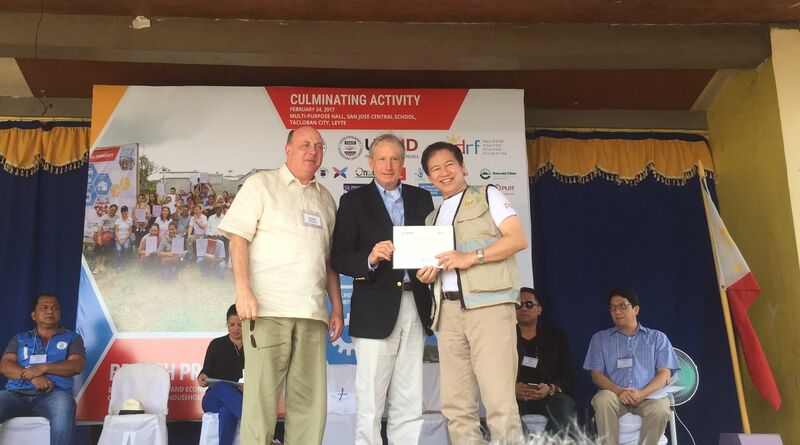 Director Henry B. Howard and Hank Hendrickson accept a Certificate of Appreciation to the Society from PDRF for typhoon recovery assistance, Tacloban, Leyte, 24 February. 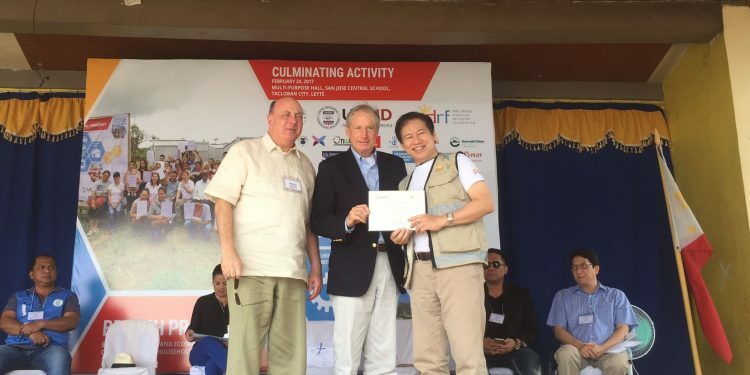 TACLOBAN, PHILIPPINES – The February 24 visit to Tacloban capped a three-year effort by the US-Philippines Society in partnership with the Philippine Disaster Recovery Foundation (PDRF), led by Directors M.V. Pangilinan and Jaime Augusto Zobel de Ayala, to assist victims of Typhoon Haiyan through programs to rebuild schools and housing and to restore livelihoods.